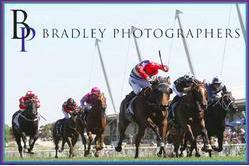 Goathland is on target to run in the G3 JRA Trophy over 2400m at Rosehill on Saturday. The son of Teofilo ran a super race when 4th in the Newcastle Cup last start and will no doubt be well-primed fitness wise courtesy of the 8 day back-up. Tommy Berry that rode him last start is once again on board. On Sunday at Wyong Starvino is set to have his first start for the stable in the 1350m maiden plate with Brenton Avdulla aboard. Off the back of an easy trial win he looks a great top 3 chance! Our other runner on Sunday is Celer, (pictured) who is also resuming. He finished 3rd in a recent trial and should get a lovely run in behind a hot speed from barrier 2. Look for him to be hitting the line hard at the business end!